I’m already in Fall mode… as if you didn’t know that. That’s why I am so excited to share my very first pumpkin recipe with you all – and it’s a good one. 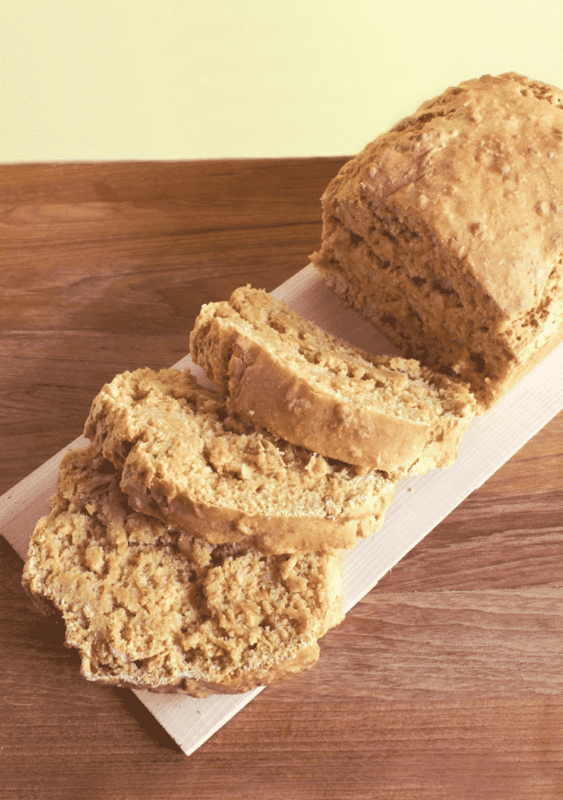 Super easy to make and delicious to eat. 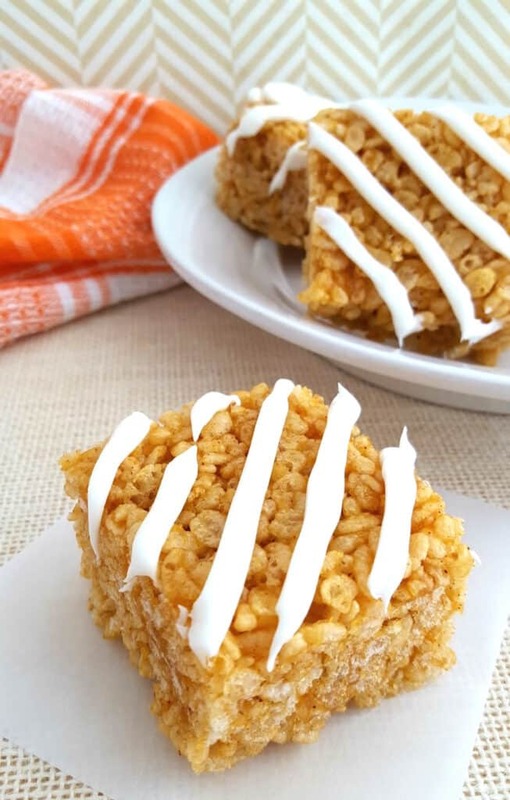 After all your hearty cooking on those upcoming cold, windy nights, your family will look forward to a bite-sized treat. Give them one that is homemade. How about these Pumpkin Bites? Such an easy dessert to make. Check it out. In a mixing bowl, combine the white sugar, brown sugar and butter until smooth and creamy. 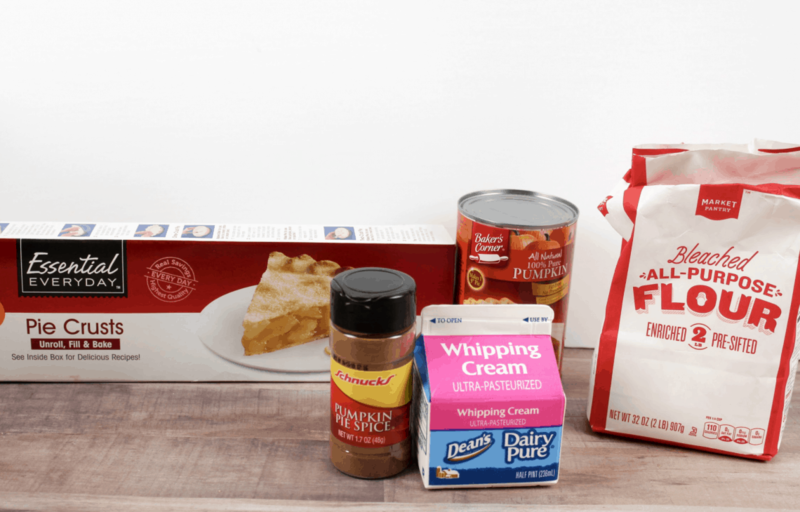 Add in egg, whipping cream, vanilla, and flour. Mix well. Roll your dough out and use a small cookie cutter (or even the top of a peanut butter jar!) to create small circles. 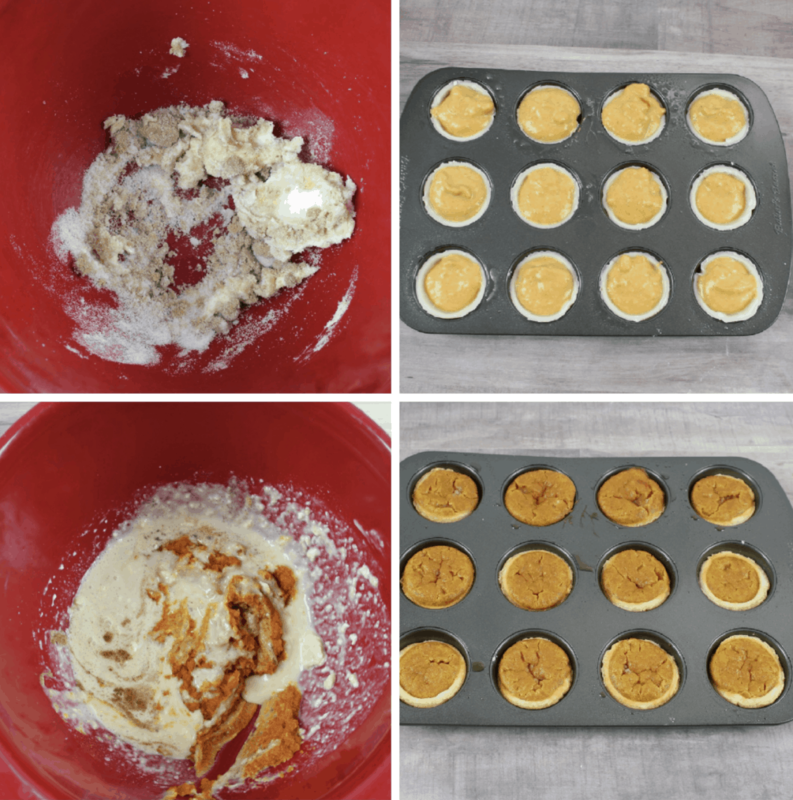 Spray a small muffin pan with cooking spray and place the dough circles in so they fill the tin. 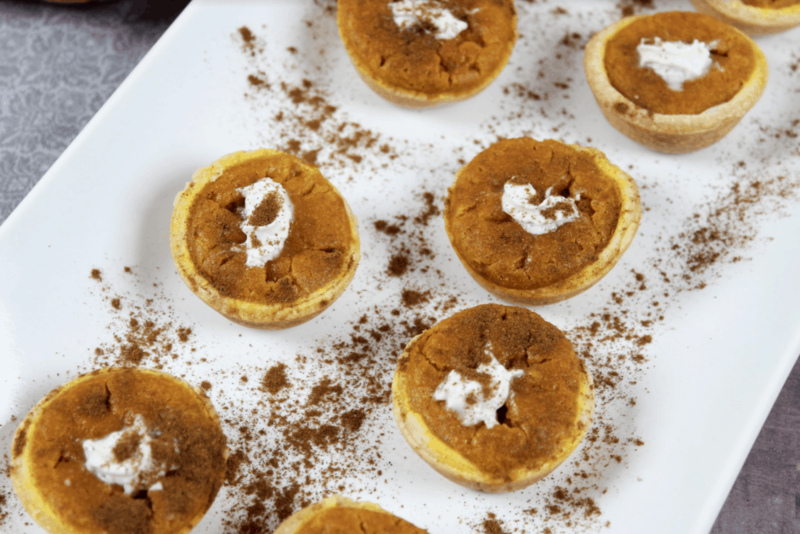 Scoop the batter into each mini pie crust. Bake for 30 minutes. Let cool. 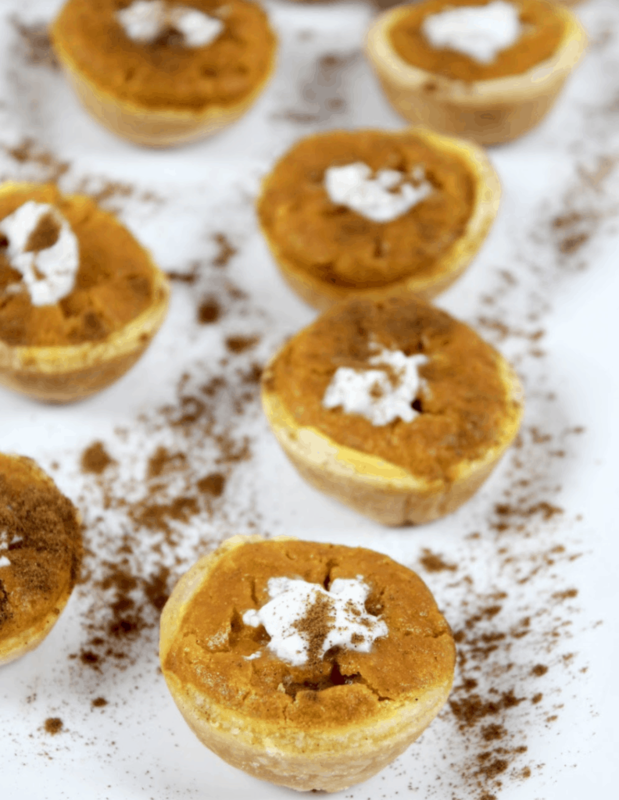 When ready to serve, top with whipped cream and cinnamon. Yum and YUM. ALL THE YES, right? 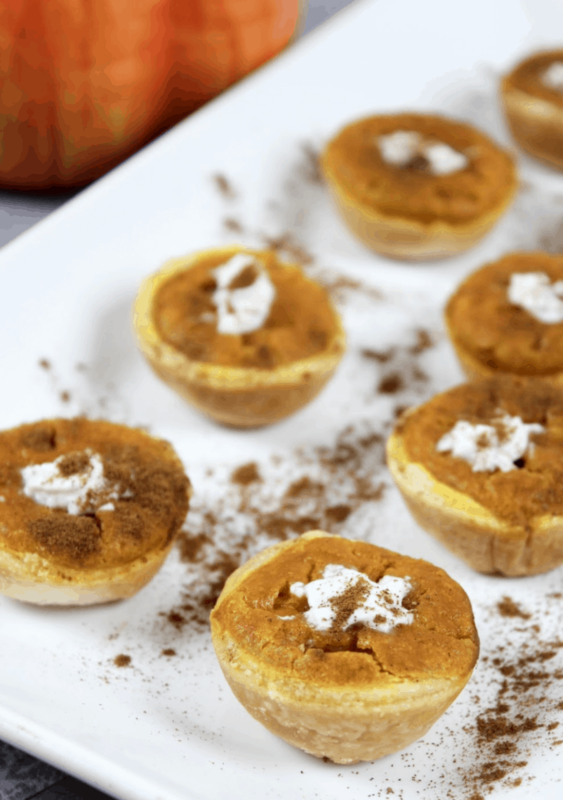 I just love this Pumpkin Bites dessert recipe. Do you think you will add it to your next gathering? Let me know how it turns out. 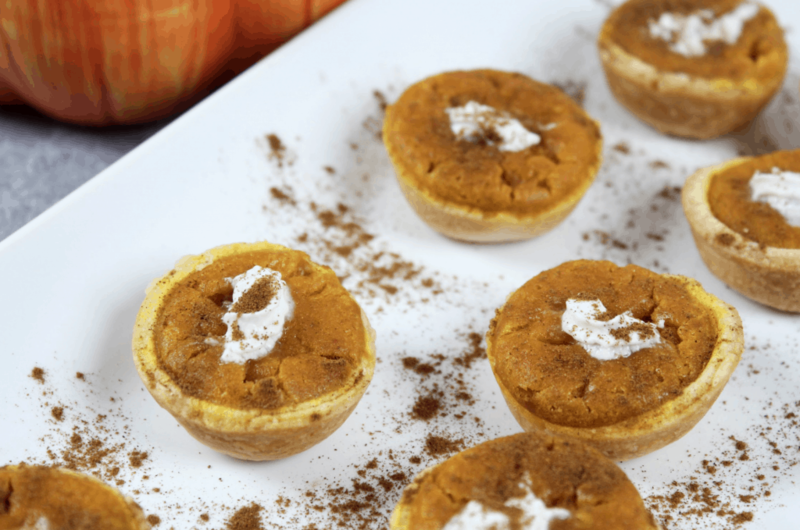 Want More Pumpkin Themed Recipes?